1. 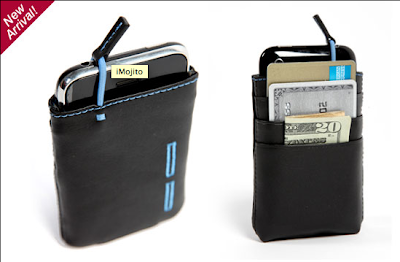 What do you win: An Iphone Mojito or Mojito Wallet (Black or White)... this can be used for yourself or to be given to your FH. Your choice. 2. How to win: Go to Malcolm Fontier and find your favorite product. Come back here and comment that product. Make sure your contact info is available. 5. How do you win DOUBLE: You can enter on the Weddzilla Blog AND the Relentless Bride Blog once each to give you twice the chances of winning one, but potentially being able to win two Malcolm Fontier Mojito products. My fav is The Director. I gotta say, that iMojito would be perfect for my man. I love the iMojito! It would be perfect for my phone. Mr. Mojito would LOVE the iMojito for his new fun! 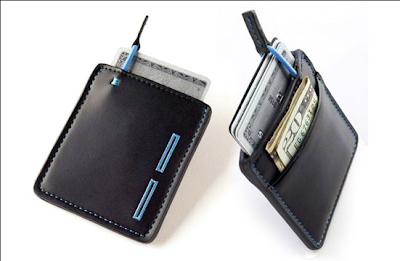 He uses these types of wallets anyway so this would be perfect! I love the IPhone Mojito for my hubby! Word. The Director in white. le friggin' swoon. the director bag for sure. looks like a lot of froom. I like the Mimosa. It looks nice and big. The Entertainer Tech! Definitely! My right shoulder has a permanent dent from carrying around my laptop! The iMojito, but I have a feeling guys would not like the pale blue. My fiance always has his military ID, debit card and iphone out and manages to lose them because they are loose, he needs this! I like the mimosa 08 wallet. my wallet is falling apart, I could use a nice one! The wallet is nice, but I also like their messenger bags. My favorite is the iMojito! I love the iMojito for my FH!! Loving this giveaway! Follow both on wedzilla and here. My favorite is the iMojito! This would make such a great best man gift! I like the Mimosa in Brown. My husband needs a New Wallet very badly. Thanks! happy new year.